Insider trading has received a bad name in recent decades. The popular press makes it sound like an evil practice where those who engage in it are totally devoid of ethical principles. Yet not all insider trading is unethical and some studies have concluded that certain kinds of insider trading are actually beneficial to the greater investment community. Some scholars in philosophy, law and economics have disputed whether insider trading should be punished at all while others assert that it should be illegal in all cases. 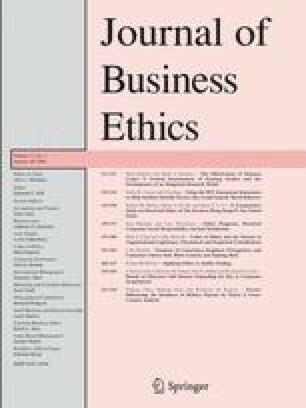 This paper explores the nature of insider trading and analyzes the issues to determine the positive and negative aspects of insider trading, and how policy should be changed. The best hope would be for studies to be made that isolate the individuals or groups who are fraudulently harmed by insider trading. If any such groups exist, then clearly worded legislation could be passed to prevent any fraud from being committed against these individuals and groups, while allowing non-fraudulent transactions to be completed without fear of prosecution. Until it can be clearly determined that someone is fraudulently harmed by insider trading, there should be no law or regulation restricting the practice, since such restrictions violate individual rights and will likely have a negative market reaction. Robert W. McGee is a professor at the Andreas School of Business, Barry University in Miami, Florida, USA. He has published more than 50 books and more than 400 scholarly papers in the fields of accounting, taxation, economics, law, philosophy and ethics. He holds doctorates in several fields, including accounting, economics, law and philosophy. He is an attorney and a certified public accountant (CPA).